If all goes according to plan, Danny Boyle will be directing Daniel Craig in his last film in the Bond franchise, currently known as Bond 25. The only remaining domino that needs to fall is the approval of the script core Boyle collaborator John Hodge (Trainspotting series, The Beach) is currently writing, according to IndieWire. Bond producers Michael G. Wilson and Barbara Broccoli must approve Hodge’s final script before Boyle can move forward with the film. 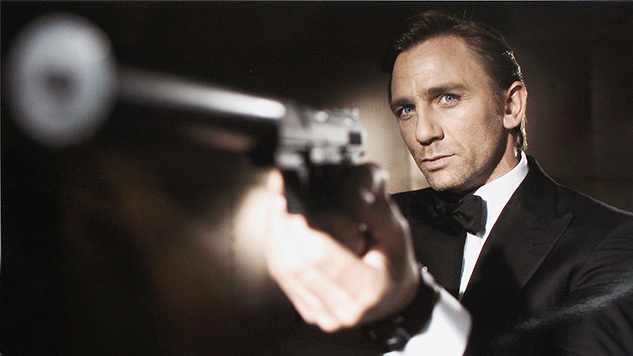 But Broccoli and Wilson have also already commissioned a script from veteran Bond scribes Neal Purvis and Robert Wade (Skyfall, The World is Not Enough), according to Deadline. While Boyle is eager to direct the next Bond installment, there might be another potential roadblock in the way of the Oscar-winning director’s plans, outside of script approval. Boyle is working on a script with Richard Curtis for an untitled comedy at the same time as Hodge’s Bond script is being written. He wants to film the comedy before he takes on Bond, which could present some scheduling conflicts. Bond 25 already has a release date set, so the latest Boyle could start filming is late 2018 if Hodge’s script is approved. If Broccoli and Wilson go with Neal and Purvis’s script, they could end up going with another director if Boyle doesn’t like their script. Looking at the situation, Boyle seems to have a real conundrum on his hands. Only time will tell if his name will appear in the credits, come Bond 25’s release.